In recent weeks of bible reading these scriptures have kind of jumped out at me and, I feel, represent part of our challenge in trying to communicate the Gospel of Jesus Christ in our modern world. 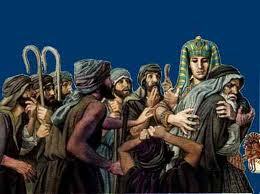 Joseph, a type of Christ, is a young Hebrew sold into Egyptian slavery by his own brothers. Joseph survives intense jealousy from his brothers, false accusation from Potiphar’s wife, false imprisonment, being forgotten by Pharaoh’s cupbearer and baker to ultimately rise to the second highest position in the land to save not only his own family—those who had sold him into slavery, but Egypt as well. This miraculous story of grace and salvation is quickly forgotten by the Egyptians who end up enslaving Joseph’s family, exploiting and persecuting them. It takes 430 years for the Israelites to finally escape by the hands of Moses and Aaron and the demonstration of God’s mighty power over Pharaoh and the gods of Egypt. Moses’ successor Joshua, after 40 years of God’s miraculous guidance and provision in the wilderness, finally leads the Israelites to cross the Jordan and in the conquest of the nations in Canaan. After the death of these leaders another generation grew up who “knew neither the LORD nor what he’d done for Israel.” They turned away from the Lord, served the gods of other nations, resulting in both God’s judgment and redemption—through the Judges God repeatedly raised up to deliver them. We are living in what has been called a “post Christian—post modern” world, especially in the “so called” Christian West, with it’s rich history of Reformation, Awakening & Revival. Much of this began with the Enlightenment at the beginning of the 18th century and culminated in “Higher Criticism, now called Biblical Criticism” at the turn of the 20th century, accelerating and reaching it’s zenith during my lifetime. Judeo-Christian truth & values have been under increasing attack for 2 centuries gradually infiltrating every level and sphere of society and reaching critical mass with the increasing secular takeover of ever lower levels of education. The most vile and perverted things are now being taught to our children as young as kindergarten through our public education system. We’re experiencing the “slippery slope” of Romans 1. At the same time the Church of Jesus Christ has been increasingly marginalized and made irrelevant as it has failed to truly live out the radical call and power of the gospel leading with religion devoid of the presence and power of Jesus and the Holy Spirit. We’ve become increasingly formal, religious and institutional. However, as I’ve said before, in spite of the challenge on truth and absolutes, the moral and ethical slippage we’re experiencing and the collapse of culture, I sincerely believe our best days are ahead. If we will truly inculcate and live out the life message of the Gospel of God’s Kingdom come through Jesus and live it in the context of Christian Community we will be the light and compass of the world and the “City on a Hill.” But this will call for radical change and commitment on our part and we may find ourselves “filling up the suffering of Christ” as have so many who’ve gone before us and on whose shoulders we stand. Now to a quick update of recent ministry. Thank you very much for your prayers and support. The past few weeks have been busy and blessed. We’ve now completed 5 months prayer walking Santa Paula and it has been a terrific adventure to work with Pastor Adelita Garza, Puente de Vida and the other pastors and churches. It’s not been without its challenges and before the last prayer walk we met with Adelita and several of her leaders for a time of prayer and encouragement. As they shared there were a lot of tears and we were all deeply touched by the sacrifice they’re making as they’ve taken the initiative for this Outreach to Santa Paula. Our June Prayer Walk met at Our Lady of Guadalupe Catholic Church for worship & prayer—a stretch for some Hispanic & Evangelical people—but God was present, the worship was inspiring and people prayed deep prayers of repentance and reconciliation for the division that exist in the Body of Christ. Very encouraging! June 19th I met with a different group of California leaders & intercessors at a church in Northridge for “Awake California.” This was organized by Dai Sup Han, Prayer Surge Now & California for Jesus. Pastor Netz Gomez has a vision to raise up 100 Houses of Prayer throughout the state. Dai Sup asked me to share about and lead in a time of prayer for reconciliation. Bob Wolff shared from his book, “Awakening the One New Man,” and prayed for reconciliation between Jews and Gentiles. Gaylord Enns shared from his book, “Love Revolution,” and others shared different prayer efforts and strategies that are being employed throughout the State. Awesome time! Last Friday I met with the Eagles Nest group in Ojai that is helping to organize and network houses of prayer in each city in Ventura County. 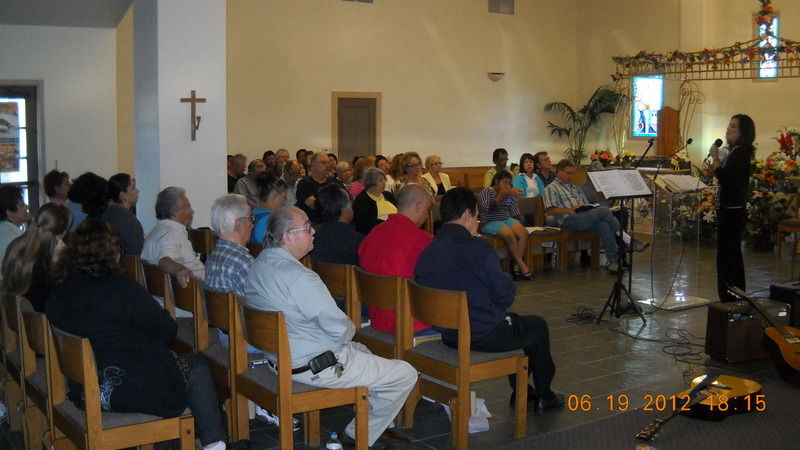 In May I, along with the SV Praying Pastors, initiated a monthly “Prayer Awakening” for the Church in Simi Valley. We’ve met three times now and we’ve had a respectable turnout and sense that something significant is beginning to build. Tim Logerquist came to our first meeting and share a vision the Lord had given him for Revival in Simi Valley. I continue to assist Liliana with the “Love Israel—Prayer for Israel & the Diaspora” gatherings the first Monday of each month at Jacob’s Ladder in Ventura. Last Saturday our Reconciliation Tribe met with Gabriel & Laura Ward from the Torres Martinez REZ near Indio. 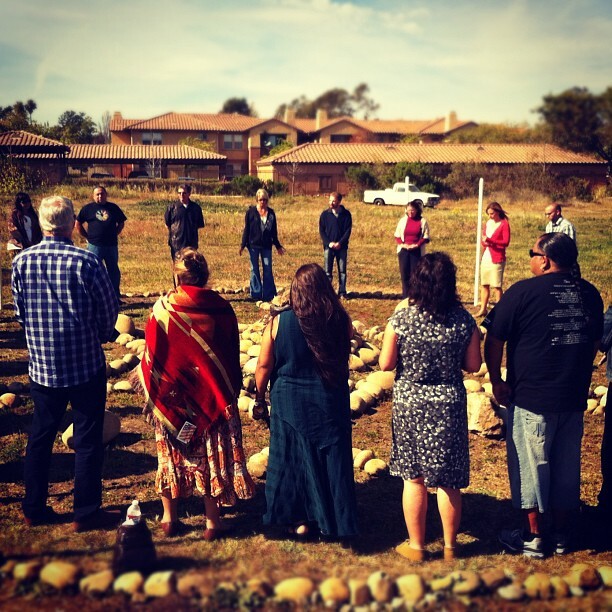 They were part of the Reconciliation in the City event in Riverside last year and felt they were to organize a similar event for the First Nations Tribes in SoCal October 31—November 3, 2012. We gathered at Lynn Heatley’s house in Chino Hills to worship, pray and plan. In addition I’ve been working with Pastors Matti Perttula, Joel Perttula & Shawn Moir at CLC, Origen (Post Modern) & Chazon (Messianic Church Plant) as well as planning and preparing for the 50thAnniversary Celebration this Sunday – July 15th. I think it will be a good day. With all the expansion and new opportunities in ministry come increasing financial demands and I continue to face challenges. I appreciate your prayers. Summer tends to be a meager time—if you can help at this time I will be deeply grateful and more people will receive ministry. Your continued prayer, encouragement and support are so appreciated!! If Jesus were not our anchor, our Solid Rock, it would be easy to be motivated by anxiety, fear, unbelief and cynicism. “On Christ the Solid Rock I Stand, All other ground is sinking sand!” I believe we’re at a significant watershed moment in both the world and the church. The current escalating circumstances are presenting the Body of Christ with an awesome opportunity to not just DO church but to BE the church in a way that more powerfully and effectively represents Jesus to those around us and demonstrate the contrast between the kingdoms of the world and the Kingdom of God. Haggai says that God’s purpose for God shaking the nations is so that the “Desired of all nations might be revealed.” We are His Body and He desires to reveal Himself to and through us like never before. Our testimony of love & light is enhanced by the increasing darkness and chaos around us. When I stepped back into full-time ministry 2 years ago, I knew I needed God’s revelation, approval, and guidance. I wanted Him to open doors, to create opportunities and so, and I say this with all humility, I spent hours, even days in the word and prayer. Then God, true to His Word, began to reveal Himself, open doors and create opportunities. I continue to involve myself in prayer gatherings, movements, initiatives and opportunities—a few of which I’ll report on below. Yet, I want to be the first to admit that I still have too much of a “populist” revelation of Jesus and, like much of the church today, I still function way below the level of truth and anointing that Jesus intends for me & us all. Sadly, the stats on the prayer habits of pastors & parishioners is not encouraging. BUT, on a more “positive” note, there is a growing prayer movement—city/regional/state prayer groups, houses of prayer, prayer walking, prayer groups in gov’t, business & schools, etc., which hold out hope of better things to come. I think I mentioned in an earlier letter a Family Lawyer in Ventura who has a full-time “paid” intercessor on her staff. I believe this could become a positive trend in the prayer movement and church in days to come. Prayer is the bedrock of the Church! Following are some prayer initiatives I’ve helped to initiate and participate in the past few weeks ………. 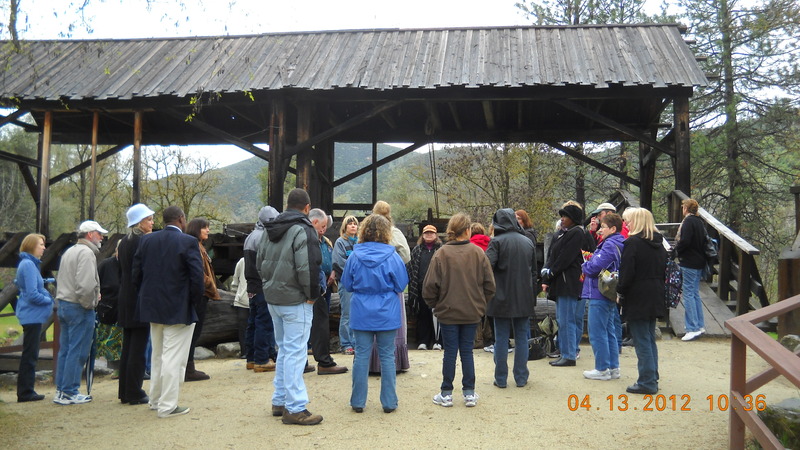 Restoring the True Gold of California: In April I was invited to join other pastors, leaders and intercessors at a prayer gathering at Sutter’s Mill in Coloma, CA in the hills east of Sacramento. This is where the first Gold was discovered in 1849 leading to the California Gold Rush. The Gold Rush almost immediately projected California to a position of prominence, wealth and influence in the US and around the world. People from all over the world came to make their fortune. In the process many found a new life and a new home in California leading to one of the most diverse populations anywhere. Intercessors from all over the State attended as 16 counties and several Houses of Prayer were represented. We spent two days repenting for the negative things that came out of the Gold Rush as well as thanking God for the rich blessings we have received as a State. Henry & Grace Felany, authors of “God, Gold & Glory” (the California Contribution to global outpouring and the end-time harvest), helped us understand the importance of CA in God’s purposes for CA and the World. The “True Gold” of CA are God’s people and the purposes he wants to accomplish though us in our State and in the world. Beginning with the Azusa Street Revival in 1906, more international movements have come out of CA than any other part of our country—the Jesus Movement, YWAM, Campus Crusade, Youth For Christ, World Vision, Focus on the Family, Navigators, Calvary Chapel, the Vineyard, and there are many more. Prayer Walking Santa Paula: Last year we met Adelita Garza. She’s the dynamic, visionary Pastor of Puente de Vida (Bridge of Life) Hispanic Assembly of God Church in SP. Over several months we met to pray for her church and Santa Paul a city of 29k with 33 churches. Santa Paula, originally a small Chumash Village, has a sad history of racism and segregation leading to much hurt and division, even in the Body of Christ. Over time Adelita and PdV received a burden to prayer-walk their city and invited all the churches to join them. In February we gatherer for the first event—we caravanned around the perimeter of the city stopping to pray at several strategic sites—this to launch a 9 month journey the THIRD Tuesday of each month to prayer-walk the whole city. 3 other churches joined this initial effort. By the time of the first prayer-walk the following week, 9 churches that had signed on. Next Tuesday we’ll be our 4th month as we cover sector #4 of SP. Excitement, vision and unity are growing with each month. Pastors/Intercessors from other cities are also joining each month. Simi Valley City-Church Prayer Awakening: Last Sunday evening we launched a monthly city-wide Prayer Awakening in Simi Valley—meeting the FIRST Sunday of each month. This vision and initiative grew out of the Simi Valley Praying Pastors and is a continuation and acceleration of the quarterly Concerts of Prayer we had several years ago. Our initial meeting was well attended and a spirit of faith and unity was enhanced as we focused on Jesus’ High Priestly Prayer from John 17. In the scripture I began with, Haggai also mentions the silver & gold. Last month several of my colleagues sent out a fund-raising letter on my behalf. I’m deeply grateful for their advocacy and all the affirming things they shared. This is something I find personally difficult to do. I haven’t had a flood of responses but am deeply grateful for those who have—every gift helps! I’m still facing a shortfall in my budget so please continue to keep me in your prayers. I believe God and trust he will use this to draw me closer to himself and give me clearer vision and strategy for the ministry He has called me to. I’m humbled and deeply grateful for your love, prayer and support! I’ve often wondered what it would have been like to live at the time Jesus was walking the earth, to be a participant or spectator to his life and ministry. I did have the opportunity to tour the Holy Land in 1977 and have always wanted to return. There’s something special, almost magical, about walking where Jesus walked, visiting places he touched – Bethlehem, eating St. Peter’s fish on the Sea of Galilee, the Via Dolorosa in Jerusalem, Golgotha, the Garden Tomb, to name a few. On the other hand, as a small-town Assemblies of God pastor’s son I was SHOCKED by all the Catholic, Orthodox and other religious shrines that dotted the landscape competing for attention and funds from the many tourists groups. I think I would have relished the teaching of the Sermon on the Mount, the chase to keep up with Jesus to get another morsel of bread & fish, the amazement of seeing another miracle or healing. 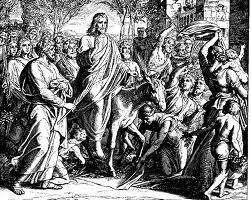 The crowd and clamor at the Triumphal Entry into Jerusalem would have had a festive, parade-like quality, giving one the sense of being part of making history. Honestly, I don’t think I would have wanted to be there a week later when He was arrested, falsely accused, beaten and whipped beyond recognition then brutally hung on a Roman cross – the ultimate humiliation – to suffer the cruelest of deaths, slow suffocation. I too, like the other disciples, would have fled and hid myself and my eyes from that horrific day. But now, here’s Jesus riding into Jerusalem, coming as their King yet, “humble, gentle” riding on a donkey – actually the animal of Kings – yet coming in a gesture of Peace, not as a conqueror riding on a white steed. His was an offer of reconciliation between a people, a nation, and their God, a God they had always had a special relationship with and yet, because their religion had become institutional and corrupt, they hadn’t recognized Jesus as their Messiah. Things haven’t changed all that much. I have to admit that I too might miss Jesus because of my triumphalist desires and expectations. To the Roman soldiers, this “Triumphal Entry” must have seemed laughable having witnessed the return of one of the Caesars to Rome from conquest and victory. One such event took three days of pomp and glory for Caesar to display the prisoners and all the spoil he had taken in battle. Right up till today Jesus continues to come to us in humility and gentleness, with an offer of peace and reconciliation. He doesn’t approach us as a conqueror, though he is. Nor does he want to parade us through the streets as his subjects. He continues to approach us as a lowly servant, a suffering savior – that wasn’t part of the Jewish paradigm. Prayer and reconciliation are the ministries I’m invested in. When I try to come as the expert, the one with all the answers and solutions, rather than in as a servant, carrying the love, grace, truth and presence of God, I end up sowing the very seeds, the weeds, that will blur and obscure the Work of God, the Misseo Dei, I’m endeavoring to accomplish! For God so loved the world that he gave….. He doesn’t just love soccer moms, suburbanites, the upwardly mobile, western people – but the World. This challenges and expands my world view. As we commemorate and celebrate Palm Sunday 2012 lets look for and engage a mindset of loving “our” world the way God does. We must have the same mind and posture as Jesus, who though God, did not grasp at authority and dominance but took the form of a servant and embraced the pain and suffering of those He met while at the same time extending to them the greatest gift of all – Salvation, Eternal Life and an intimate relationship with the Father of all Creation. Humility, servant-hood, suffering and compassion will accomplish far more than all our intellectual, theological, programmatic approaches. My thoughts for today and tomorrow! Lord, I want to be more like YOU, not just in the Church but as I live my life daily in this world. I’ll begin by wishing you a very belated Happy New Year! I had hoped to have this out much earlier, but the things I’ve been praying about and working on for 2012 for several weeks just began to take shape in the past few days. A lot is happening with much more coming. I’m rejoicing in victories and praying for greater breakthrough! Two weeks ago we had our first gathering of 2012 with the Ojai group “Eagles Nest” that is focused on raising up prayer groups in each city in Ventura County and networking them for prayer and collaboration. I was able to bring a couple of new people from Simi Valley for the first time. We’re very encouraged to see how this has grown and expanded over the past year. In addition to our prayer gatherings in Ojai we’ve been able to come alongside Mayor Sylvia Munoz Schnopp in Port Hueneme, host a “God, Gold & Glory” seminar in Ojai with Henry & Grace Felany (who’s written a book about revival in California under that title), join Pastor Adelita Garza at the Puente de Vida Church in Santa Paula praying with her leaders & church as well prayer walking parts of the city with them. Several of the group also attended our Reconciliation in the City events in Ventura & Fillmore. We sense this will be a year of significant growth and effectiveness and we endeavor to see Jesus’ Kingdom expand. Last week we had our first 2012 Regional IRC/YWAM Ventura County gathering with John & Julie Dawson. We had a great turnout and representation of Pastors, Ministry Leaders, Intercessors and Market Place people. J&J’s son David was here from Brazil and shared about their ministry with YWAM, Church Planting and networking leaders and ministries into more of a community model than a denominational or business model. There’s a growing overlap between the Ojai group, this VCG group and other networks in Ventura County and the same kind of community spirit of love & unity are beginning to emerge. At the same time many are going through times of real testing: One has been diagnosed with prostate cancer, two have peripheral neuropathy, one sister has just been diagnosed with breast cancer so we took time to lift them before the Lord. At our last Reconciliation in the City event in Fillmore in November we divided up into prayer groups and spread out to pray for the different spheres of influence in the city. 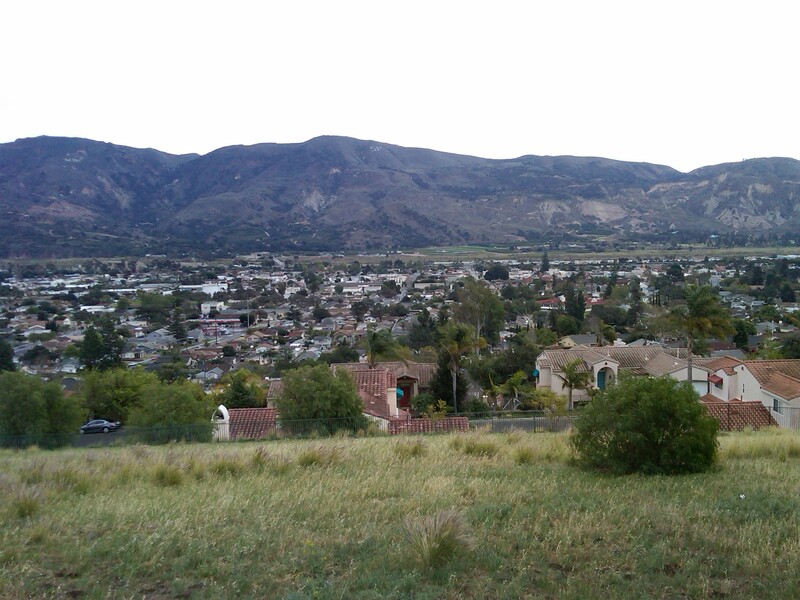 Our team was tasked with praying for the old migrant worker homes and the Sespe Monument aka the Kneeling Chumash. It started as a large dead tree that the city cut down years ago and was going to dispose of. When the local Chumash heard about it they asked if they could carve it into a memorial to the Chumash. We took our drums & bibles and sang, read scripture and prayed for the people of the land and the wounded history. We continued down the street to the old migrant housing camp and as we were praying there a young guy drove up, came over and asked who we were and what we were doing. His name is Ben and he’s full-blood Chumash and he had seen us drumming and singing at the Kneeling Chumash. He was guardedly open yet friendly and shared about some of what’s going on in the Chumash Community in our area. 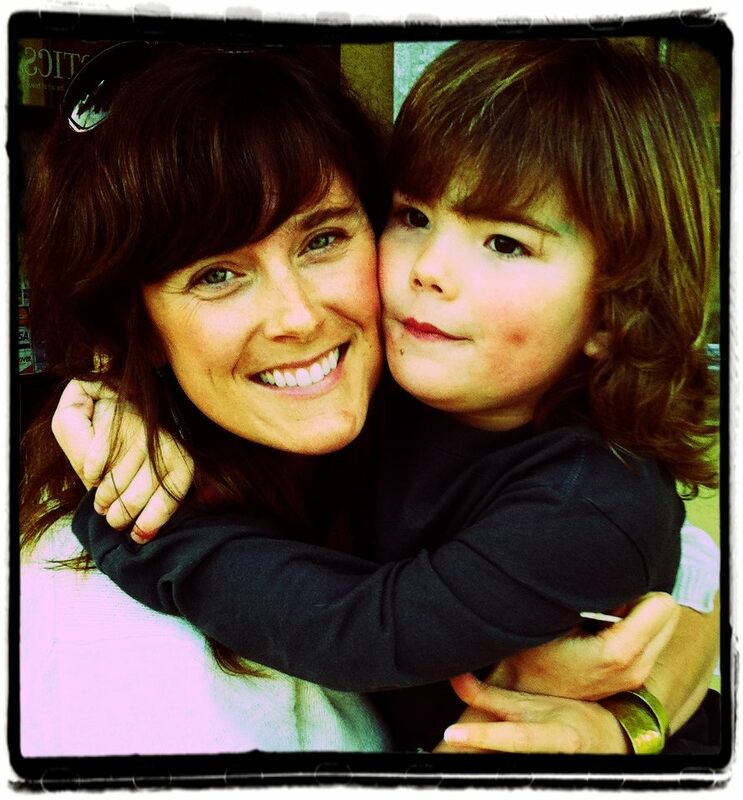 Fern Noble (Cree from Alberta Canada – but lives in SoCal) prayed for Ben, blessed him and gave a small financial gift toward one of their upcoming events. In the past couple of weeks I’ve finally established email/phone contact with Ben and feel a new door is opening for reconciliation and healing with the Chumash. The next morning a gentle rain fell on the land and Fern felt it was a sign of blessings & fruitfulness to come. One team member, Jamey, a Foursquare Pastor, is on the Fillmore City Council. The monument is really run down and in serious need of a facelift. Jamey has received permission and some funding from the City to refurbish it with the assistance of Ben and the Chumash people. God is GOOD! You may recall that in January 2010 I went to Ft. Wayne, Indiana for a “Restoring Ancient Gates” gathering focused on reconciliation between the Churches of Ft. Wayne and the Indiana Miami Tribe. Terry & Darlene, RainSong, were the ones who organized that. They’ve recently moved to Arizona and we’ve invited them to come in March to minister at CLC (they were here in 2009) but also to get acquainted with the Chumash people and help us prepare for a second, “Restoring Ancient Gates” type of event, which they would help us lead in September or October where the church in Simi Valley can begin to address this ancient wound through repentance & reconciliation. The Simi Valley Praying Pastors, which I helped to start back in 1995, began as an effort to unite the Church to more effectively share the gospel with our community. In the first few years there was a lot of vision, and partnering together in prayer, worship and outreach. Over the years it became difficult to sustain. Some who were part of the core vision have moved on and, in one case, died and there weren’t enough hands to pick up the load. It’s a great group of guys who really enjoy praying together each week but no one was ready to take on another task. In recent months several new younger pastors have come to SV and joined the group and suddenly things are beginning to stir again. For some time I’ve had a desire to start a monthly Reconciliation Prayer Gathering with representatives of all the Churches & Ministries coming together to pray for our City & County but, until now, felt a check in my spirit – it just didn’t seem the timing was right. Yesterday I finally felt the release to share about both the Prayer Gathering as well as the “Restoring Ancient Gates” conference and I was about blown over by their enthusiastic response and desire to help and participate. I continue to work with Shawn & Valoreena Moir planting a Messianic Congregation here in SV. Chazon (vision, revelation, Word of the Lord) began in October and we’re excited to be taking baby steps to reach the Jewish community. Deep End is weekly bible study which has been going for a little over a year. I’ve helped lead worship & the bible study on several occasions. We’ve had 2 people come to Yeshua, one a young gentile guy who got a good start but is now struggling a bit. The second is a middle age Jewish woman who’s had a true conversion experience, is growing strong in the Lord and the Word. She was baptized earlier this month! PTL!! Since late November I’ve been in an intense spiritual battle. As all this began to come into focus the past few days I got understanding of the nature of the conflict. I’ve had a deep sense of expectancy for 2012 yet realize it will only come about with deep intimacy with Jesus and prevailing prayer. May Jesus be Glorified! With deep gratitude for your love, prayers and support!